Tfue had police arrive at his house Friday evening. Turner “Tfue” Tenney, a professional Fortnite: Battle Royale player for FaZe Clan, was the target of an alleged swatting attempt Friday evening, according to Tfue. 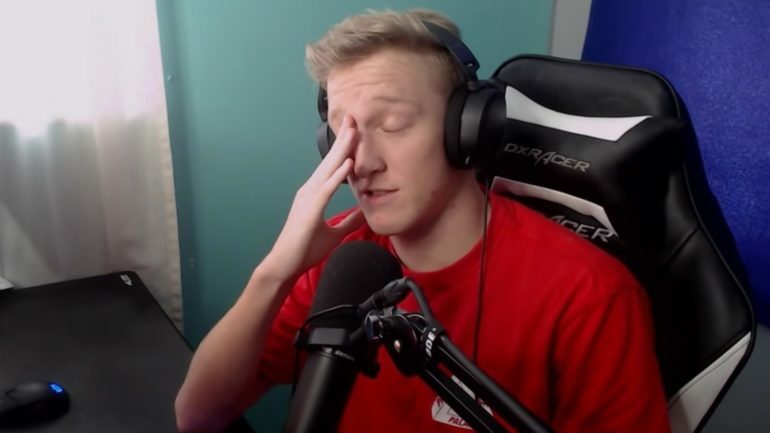 During a livestream on Friday, Tfue said two police officers arrived at his California home, responding to a call that alleged someone was attempting to break into the popular streamer’s house. Tfue refuted the claim, and after a brief period of time away from his stream, he returned to win a game of Fortnite with teammate Dennis “Cloak” Lepore, who lives in the same neighborhood as Tfue. During their game, Tfue asked Cloak if he heard the police on their street. Almost immediately after the question, Cloak said he had to step away from the microphone. Tfue asked his teammate if the police were going to his house, but Cloak had already left his setup. A visibly-worried Tfue left his computer shortly after to look outside his door, and then he walked out of the camera’s view. Both Cloak and Tfue would return to their microphones after a few minutes of silence, completely refocusing on the game at hand. After securing the Victory Royale, the pair started speaking about their experiences. Cloak, who didn’t have the police arrive at his house, said he thought they were going to come to his house due to a helicopter’s spotlight shining through his window. Tfue said he actually had two officers come to his door, but his neighbors were able to intercept the police officers before they reached Tfue’s house and “calm them down,” according to Tfue. After talking with his neighbors, Tfue said the police officers showed up at his house because somebody called and said there was an attempted break-in. He further explained that he couldn’t be completely sure who the call was targeting, saying that it could’ve been for him or one of the other YouTube personalities that he lives with. Swatting attempts have been quite common lately, with one of the most notable cases coming in December when a man in Wichita, Kansas died as a result of a false report.